There’s no denying that Singaporeans love Japanese fare and won’t say no to having Japanese flavours in any other food that we eat. 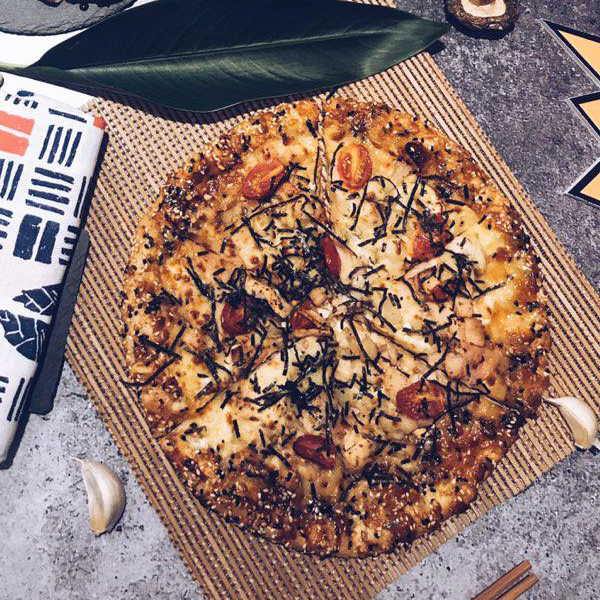 This is why we thought you might be excited to know that Japanese-style pizza has been introduced by Domino’s. We headed down to Domino’s Pizza to try out the new Sugoi menu, so you know what they’re offering and which are the highlights to look out for. Eel on pizza? We know, we were just as skeptical when we first heard of this invention. We changed our minds the instant we took a bite of it, though — imagine a bed of soft, honey glazed eel slices surrounded by mushroom and sprinkled generously with salty seaweed, and every single flavour coming together in perfect harmony. Yum! 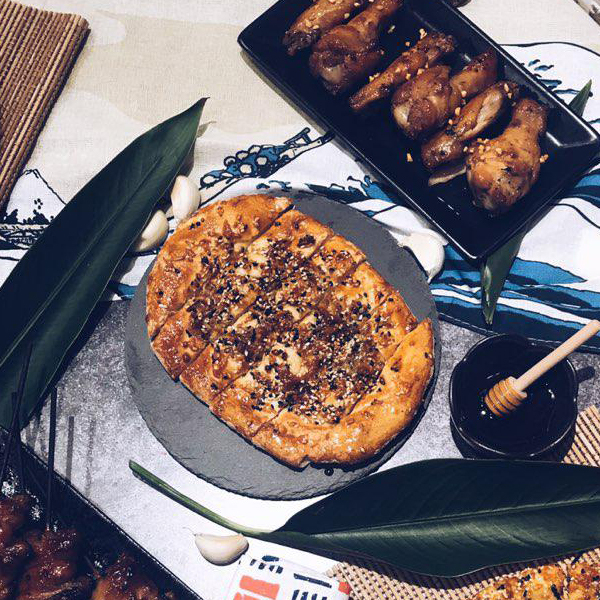 We recommend getting it with the Cheesy Sesame Crust— a sweet affair topped with Parmesan cheese, black and white sesame seeds, as well as a glaze of honey rock sugar. Even the notorious crust-haters amongst our group devoured these perfectly crisp offerings. You’ll only be required to top up an extra SGD6 to swap out the crust anyway, and we’d say that it is well worth the money. The Sugoi Unagi Pizza retails at SGD35.90 (regular). 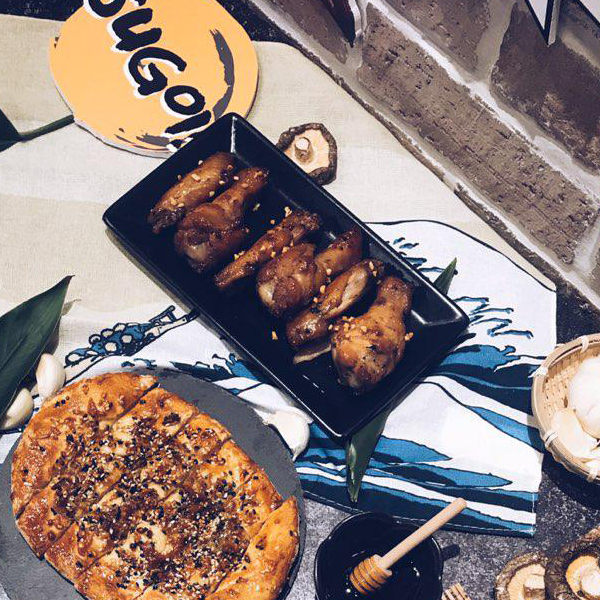 If you’re not so much a fan of seafood, opt for the Sugoi Chicken Pizza instead, which features juicy chicken chunks prepared Tori Yaki style. The pineapple and tomatoes on there slices through the heaviness of the cheese and meat, giving it a refreshing aftertaste that won’t leave you feeling too stuffed after. As with the Sugoi Unagi Pizza, we recommend getting this with the special Cheesy Sesame Crust, too. It adds an extra kick that you just can’t get anywhere else! The Sugoi Chicken Pizza retails at SGD27.90 (regular). Perfectly tender chicken wings and drumlets are bathed in honey rock sugar and roasted garlic when it comes to these Toriniku Wings. 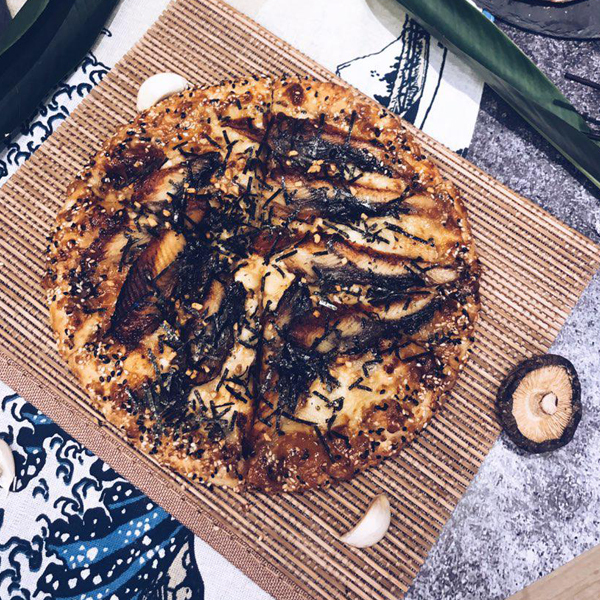 Expect both sweet and spicy flavours that complements both the Unagi and Chicken pizzas amazingly well, with the bits of garlic atop it adding just the right amount of crunch. They can be pretty addictive, though, so make sure not to fill up on these before getting to the main course! The Toriniku Wings retails at SGD10.90 a la carte, and SGD7.90 when ordered with other Domino’s items. Don’t let its unassuming appearance fool you just yet — we predict that the Cheesy Crunchy Goma is going to be a hot favourite amongst those with a sweet tooth, and for good reason! Featuring Parmesan cheese, black and white sesame seeds, and a honey rock sugar glaze (yes, all the good stuff that goes into their Sugoi pizza crusts), their flatbread is a delightful mix of sweet, chewy, as well as crunchy. We had resigned ourselves to a single piece, but found ourselves devouring a whole box instead. Eek! It can get pretty messy with the honey glaze, though, so make sure to pack some wet tissues with you. The Cheesy Crunchy Goma retails at SGD6.90 a la carte, and SGD4.90 when ordered with other Domino’s items. Sweet, saucy and mildy spicy, the Yakitori Chicken provided an intense smoky flavour that savoury lovers are sure to adore. We also loved how the chunks of chicken simply melted off the skewers and into our mouths, thanks to the precise grill it was treated with. 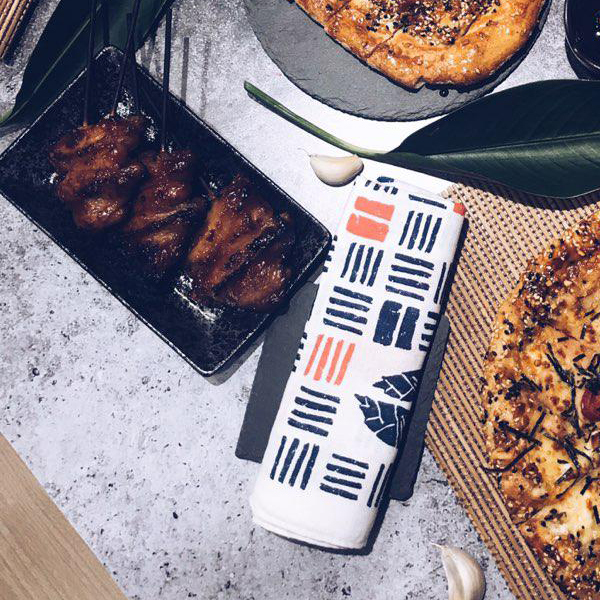 The Yakitori Chicken retails at SGD12.90 a la carte, and SGD10.90 when ordered with other Domino’s items. Be sure to order them quick if you’re looking to try them: the Sugoi menu is available for a limited time only, and we foresee it being immensely popular! Aside from being a lipstick aficionado, Emily is also a eyeliner enthusiast, a collector of books, and engages in the occasional bout of boxing. She can also be found bingeing bad reality TV shows on Netflix or arranging her mascaras in alphabetical order.